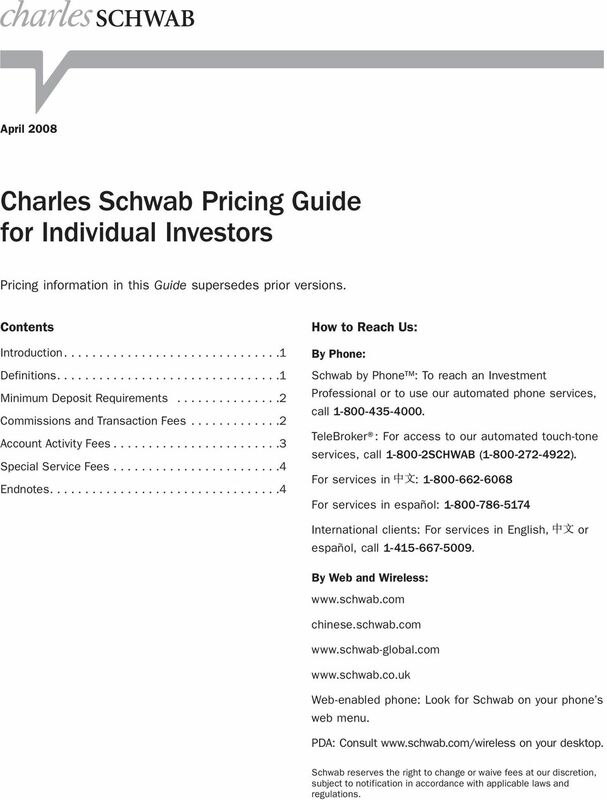 Download "Charles Schwab Pricing Guide for Individual Investors"
1 April 2008 Charles Schwab Pricing Guide for Individual Investors Pricing information in this Guide supersedes prior versions. 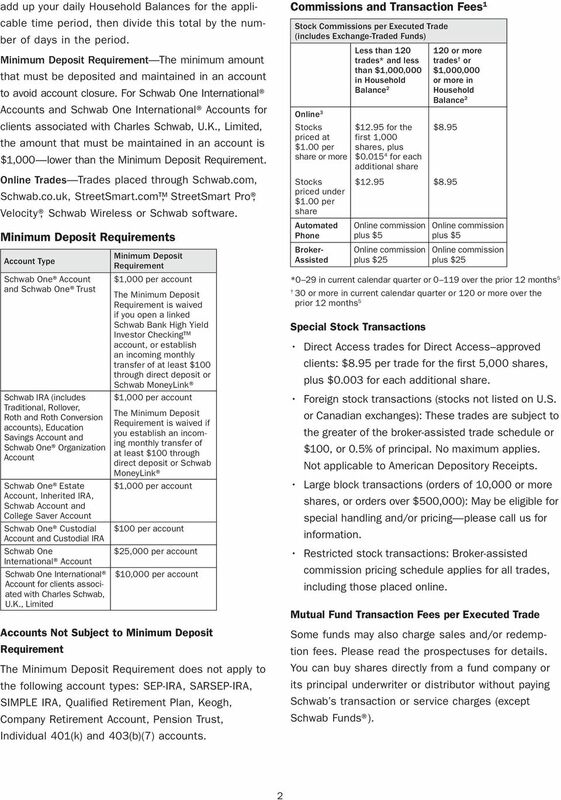 Contents Introduction Definitions Minimum Deposit Requirements Commissions and Transaction s Account Activity s Special Service s Endnotes How to Reach Us: By Phone: Schwab by Phone : To reach an Investment Professional or to use our automated phone services, call TeleBroker : For access to our automated touch-tone services, call SCHWAB ( ). 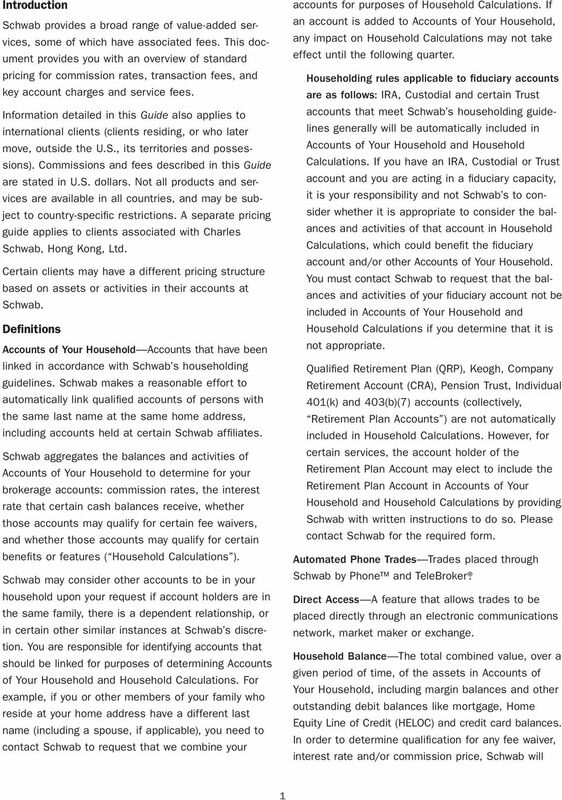 For services in : For services in español: International clients: For services in English, español, call or By Web and Wireless: chinese.schwab.com Web-enabled phone: Look for Schwab on your phone s web menu. PDA: Consult on your desktop. 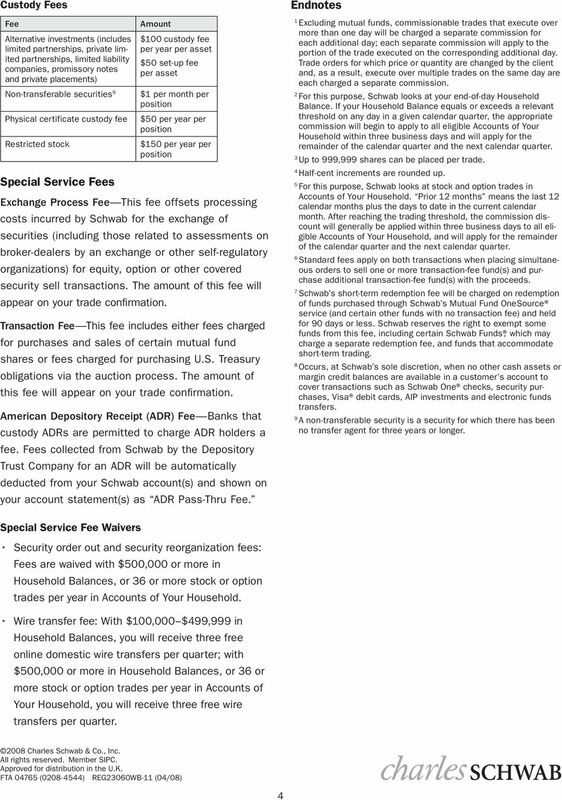 Schwab reserves the right to change or waive fees at our discretion, subject to notification in accordance with applicable laws and regulations. 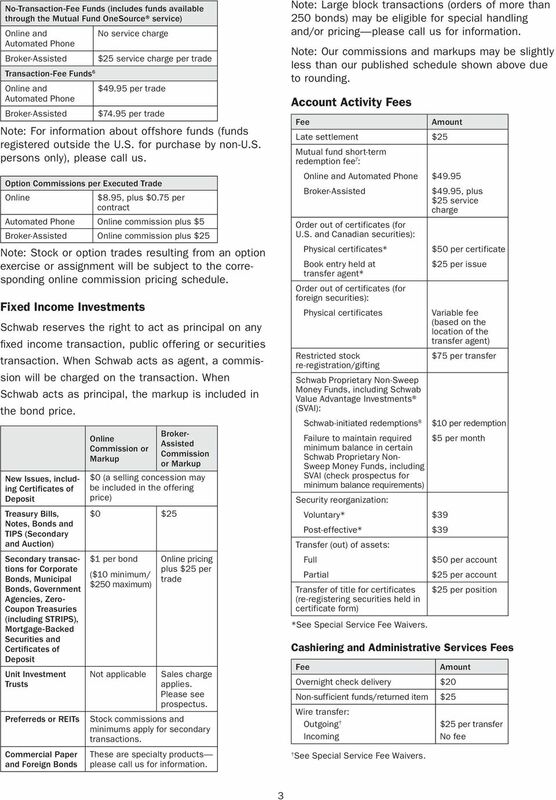 attach a recent statement from your current broker Please send the entire statement. The transfer cannot be completed without the entire statement.